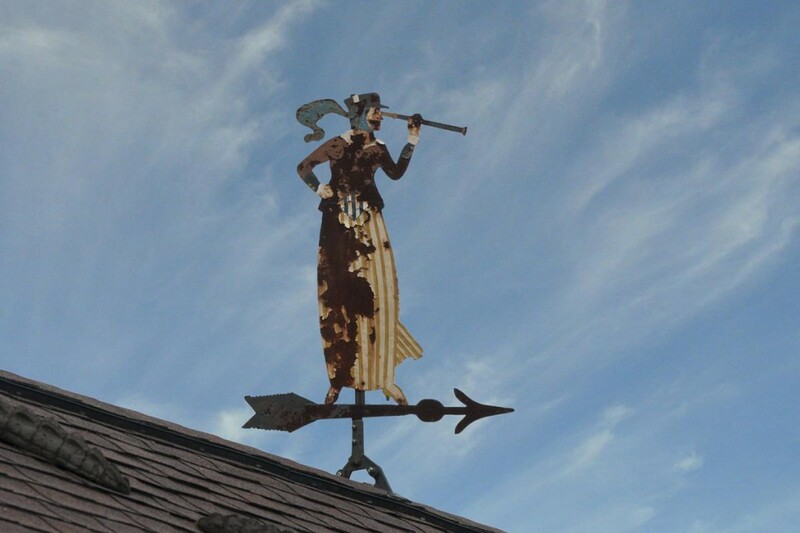 Vintage Folk Art Painted Woman with a Telescope Weathervane. We’ll call this our Mary Poppins weathervane spotted on top the Close Quarters Pub in Avon Lake, Ohio. Every day in sunshine and in rain? Each day, shadowed by a seagullsâ€™ flock. Come back to me. Come back to me. Bowing at the oceanâ€™s endless reign? 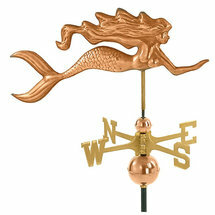 Where are you my love, where do you dwell? Itâ€™s so long ago you said farewell. But none to return my love to me. In anguish, sorrow, and full of pain? Back to me? Come back to me.